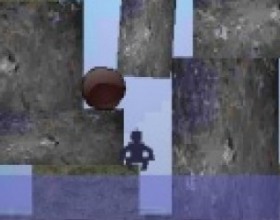 Your mission is to survive as long as possible by climbing upwards and jumping from platform to platform. To do that you can use your ninja rope. Use W A S D keys to move around. Click your mouse to aim and shoot a bungee cord. Your task is to catch all the presents that are falling from the sky. Help Santa to stack them in one big heap and reach required high of your present tower. 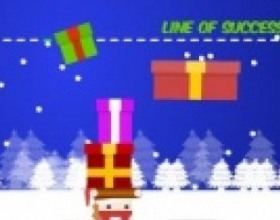 Use your mouse to move Santa around the screen and stack the presents. 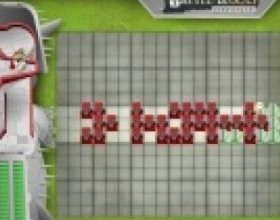 Your aim is to use Tetris like pieces to place your units and create strong enough formations to stand against and survive 50 waves of attackers. Combine pieces in a 3x3 blocks to build a mega tower. Use Mouse to control the game. Press Space to rotate the block. As previously you have to stack shapes and hold them in perfect balance. Use Mouse to pick up object and drop it on the play field. You can rotate shape with A and D keys, to rotate very carefully use W and S keys. 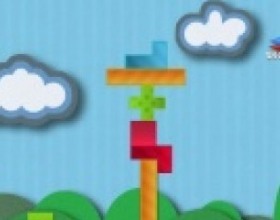 Your task is to reach required high by stacking available blocks in order to build a tower and hold its balance. Pick up the blocks using your mouse and place them at the right positions. Use A and D to rotate the block. Your task is to create new virus by matching 3 computer parts to grow them stronger. Do not overflow the screen and destroy yourself. Use Arrows Left and Right to move blocks, use Up Arrow to rotate bricks, use Down Arrow to drop blocks. Your task is to stack cakes as high as possible and then launch the king in the air. 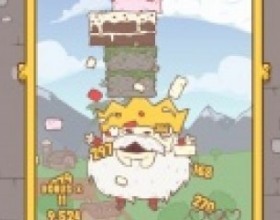 After that king will fall down and you have to control him to eat all your stacked cakes. Use Down Arrow key to drop cakes and use Left and Right Arrows to move the king. Your mission is to rotate and place shapes to get the perfect balance. 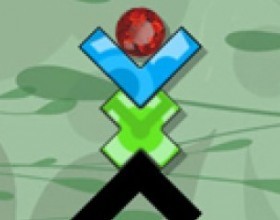 Use your mouse to pick up shapes from the top of the screen and drop them in the game field. Use Arrows Left and Right or A and D keys to rotate shapes. Your task is to clear all fields of blocks. Get money and buy upgrades for more power like shooting skills and additional balls. Use Mouse to move your pad to shoot ball back. Press Space to switch weapons, click to fire. 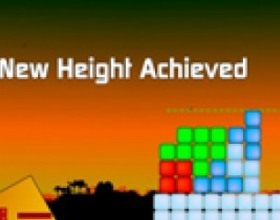 Your task in this very addicting game is to build towers with limited building material. You must use your pieces several times to build your tower higher than the given threshold. Use mouse to select, move and drop shapes. Use Arrows or A and D keys to rotate shapes. 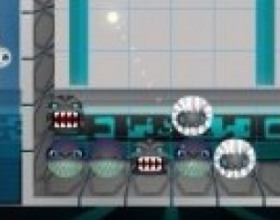 Help future robot to survive and avoid the water. As game title says - You have to choose - Climb or drown. You have to stay alive so climb. So move super fast and climb as high you can. Use W A S D or Arrow keys to move. You have to do multitasks by taking control of two ragdolls at the same time and try to survive as long as possible. 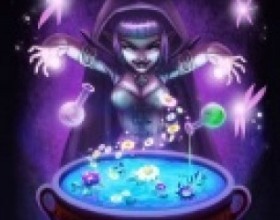 Collect some bonus items to achieve a maximal highscore. Use W A S D or Arrows to control left side doll and use Mouse to control right sider doll. This is a tetris I bet you've never seen before. 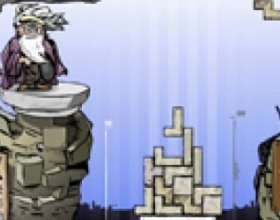 In this game looks like everything is moving, only tetris bricks are staying still. 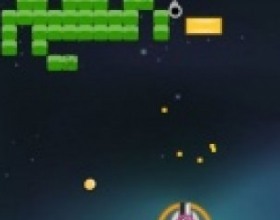 Use arrow keys to move blocks, Press Space to rotate the screen, press Enter to drop the block. Try to play this game in full screen. Once again you're able to rotate and stack shapes and try to achieve perfect balance in this physics puzzle! 100 levels in this package! Use A and D keys to rotate the selected shape. Use your mouse for the rest control. There is no time-limit, no need to rush, but the tiles keep on coming and the shapes get so complex! You have to make shapes that appears on right side to gain points. Use mouse to swap blocks. Don't let the grid fill up. 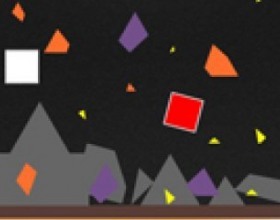 In this physics game you have to cut the falling shapes to smaller yellow pieces to them melt down. Click and drag your mouse and then release to cut the shape. 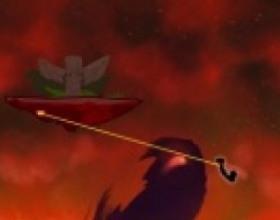 Don't cut the dark ones, Red shapes are bombs - they can clear the frozen shapes. 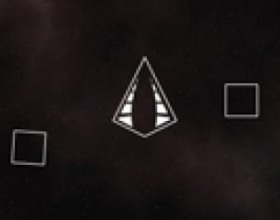 White shapes can bring you bonuses. 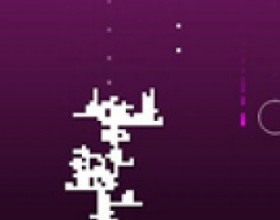 You have to avoid the deadly falling tetris shapes and stay alive as long as you can. Game will continue as long as you stay alive. The goal is to get the highest score possible. 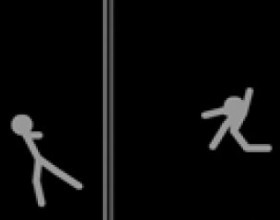 Use W A S D or arrows to move. Press K to grab and roll. Use J for wall jump. 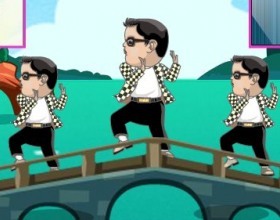 Your task is to help Garry on his adventure to save the land through 24 levels. Use all your building skills to build as high tower as you can in the classic mode. Use left and right arrows to move bricks. Press Up arrow to rotate. Press C to discard current brick. Use V to remove placed bricks. This game is very fast, so be ready for some quick action. Aim is simple - collect as many pixels as you can. Missing any white pixels will decrease Your health. When health bar is empty the game is over. 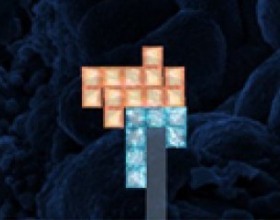 Fancy pixels give you extra health. Use mouse to move pad. 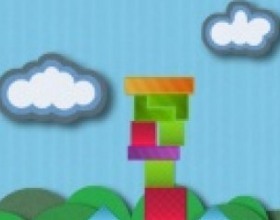 In this fast game stack blocks of tetri as high as you can, try to reach the achievement height to score extra points. If a block falls off the edge you lose one of three lives. Make a new record! Use Your mouse to drag and place blocks from left side to podium in the right side. Your goal in this very exciting twist on the classic snake game is to collect all the yellow coins and hit the red finish cube to advance to the next level. Game automatically saves your data so you can continue later. 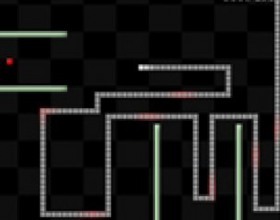 Use the arrow keys to control direction of snake. 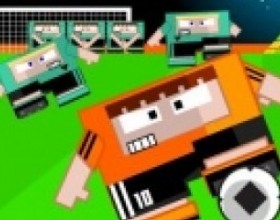 Match at least 3 blocks horizontally, vertically or diagonally to collect them. Do not allow the blocks to stack up to the top of the play area. 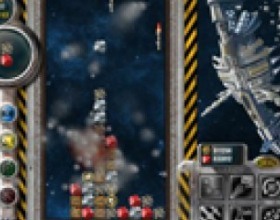 Use Arrow Keys Left and Right (or A and D) to Move incoming blocks left or right. Arrow Key Up (or W) Swap blocks around in the current figure. Arrow Key Down (or S) Move incoming blocks down. Esc - Pause. Space - Drop the current blocks. Rotate and stack shapes, and try to achieve perfect balance in this physics puzzle! Can you master the game’s 80 trials? Use A and D keys to rotate the shapes. Use the mouse for the rest. Have fun!!! Build the highest tower! With 99 Bricks at your disposal, how high will your tower be? Use the arrow keys to move your brick. Up key or space bar rotates the brick, C key discards the current brick, Z key can be used to zoom out. P key brings up the in-game menu. With no doubt, Tetris has once been one of the most popular games. It was released in 1984 in the Soviet Union. Quite interesting are the origins of the game’s appellation: tetra stands for four, and the suffix -is is derived from tennis, which was the favourite kind of sport of its developer (Alexey Pajitnov). The very idea of the game is that the gamer must match the fitting elements which are called Tetriminos into a single horizontal line of ten elements, and this line must not be interrupted by any gaps. 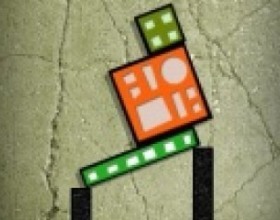 The game environment is simple and consists of a playing board where the Tetriminos are falling. 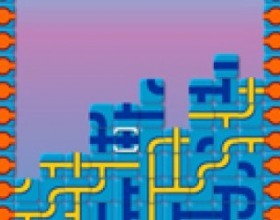 Therefore, the goal of the game is to manage the location of these elements in order to build the line. Each element can be moved both left and right, up and down and can also be moved by 90 degrees. 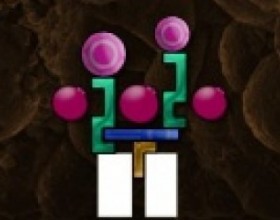 Tetriminos can be in the shapes of L, I and J. When an entire line is built, it disappears and upper elements are taking its place. Thus, the gamer has to manipulate the elements as quickly as possible. Obviously, with the game proceeding the level of complexity increases and the elements are beginning to fall quicker and quicker. 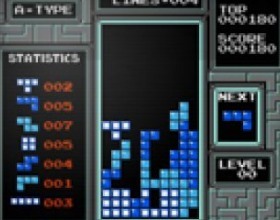 So, to a certain extent Tetris can also belong to the category of skill-based games. The gamer cannot proceed further if the playing board is filled with Tetriminos, and the new entering ones have no place to fall, so he loses if this happens. 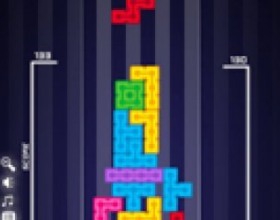 Scoring system of Tetris is very simple, and successful building of more complicated lines provides bigger remuneration. For instance, a building single line stands for 100 points, building of four lines, which is Tetris itself, stands for 800 points, and the most complicated lines stand for 1 200 points. Obviously, some logical efforts must be made to find the best way to manipulate objects, but the main concentration is speed of such manipulating rather than logic. 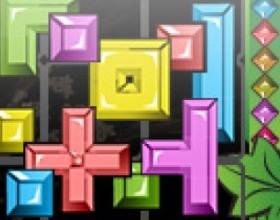 Different Tetris versions provide different colours of playing blocks: red, purple, orange, yellow, green, blue, olive, brown, white, grey, maroon, etc. Usually each combination (I, J, or L) is of a different colour in order to facilitate the game’s understanding and proceeding. Nowadays innumerable versions, variations and improvements of Tetris are endlessly appearing, although the initial idea remains the same. Tetris is widely available online, as well as are available modern versions for mobile phones, iPhones, iPads and other popular devices.